2. Type in 18/03100/MAO and click on the Search button. Object now – or lose this land for ever! 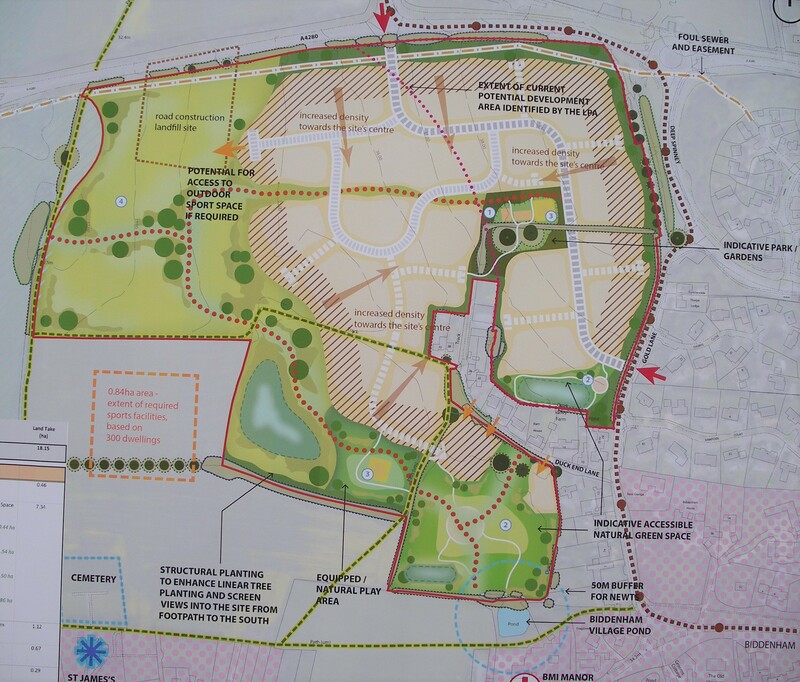 The Biddenham Society opposes this application. 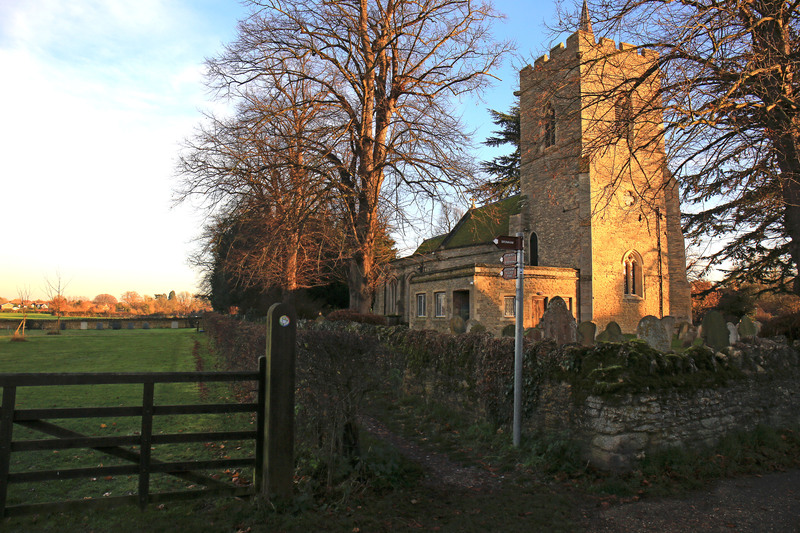 “…development of the scale proposed would seriously diminish the visual attractions of the village edge…and the separation between this fringe area of Bedford and the nearby village of Bromham” (May 2001 Report, section 4.2.30). This proposal is in conflict with current policy AD43 of the Bedford Borough’s Allocations and Designations Plan, and is contrary to saved Policies BE30 i), BE35 iii), and BE36, of the Local Plan, and Policy CP21 iii) of the Core Strategy and Rural Issues Plan, and we urge its refusal. From Policy 19 of the draft new Bedford Borough Local Plan 2035 which will remove the protection given by the previous Local Plan. The picture above shows what this area could look like if we fail to stop these threats. 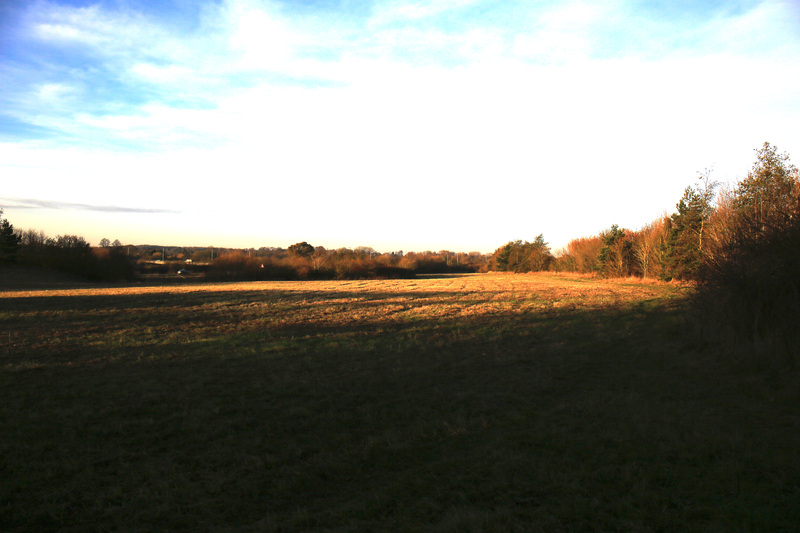 The development of this large site will remove the fine landscape views towards the river valley and Bromham, ruin the quality of the rural walks along the many footpaths, threaten wildlife living in the vicinity of our ancient village pond, overload our local schools, greatly increase traffic along Bromham Road and Gold Lane generating dangerous exits from the site, and reduce the green gap separating Biddenham and Bromham. 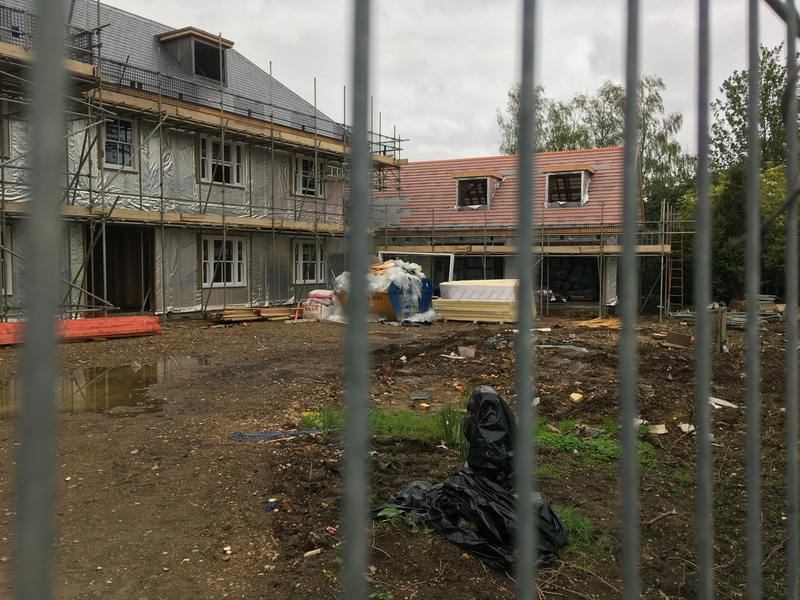 With the huge surrounding developments, Biddenham has already contributed significantly to the borough’s housing targets. There should be no more building here. 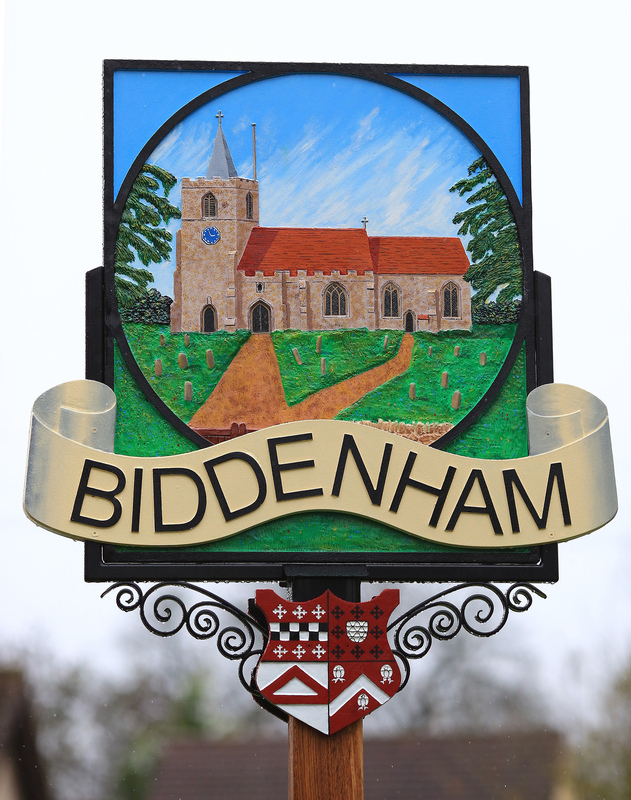 THE BIDDENHAM SOCIETY IS WORKING WITH THE PARISH COUNCIL AND LOCAL GROUPS TO BLOCK THIS POTENTIAL DESECRATION OF OUR VILLAGE, BUT WE NEED THE HELP OF RESIDENTS AND OTHER SUPPORTERS IF WE ARE TO BE SUCCESSFUL. We are asking you to object to BOTH of these threats SEPARATELY to show the strength of feeling in the village. Below we tell you how to make your objections. 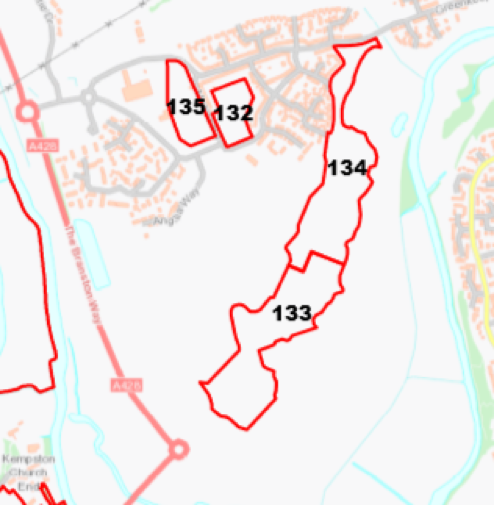 Individual submissions from all the adult occupants of a single household and their friends (whether or not they live in the village) all count, and will multiply the number of objections recorded by the borough and the impact of our objections. In every case the name and address of the individual objector must be included. 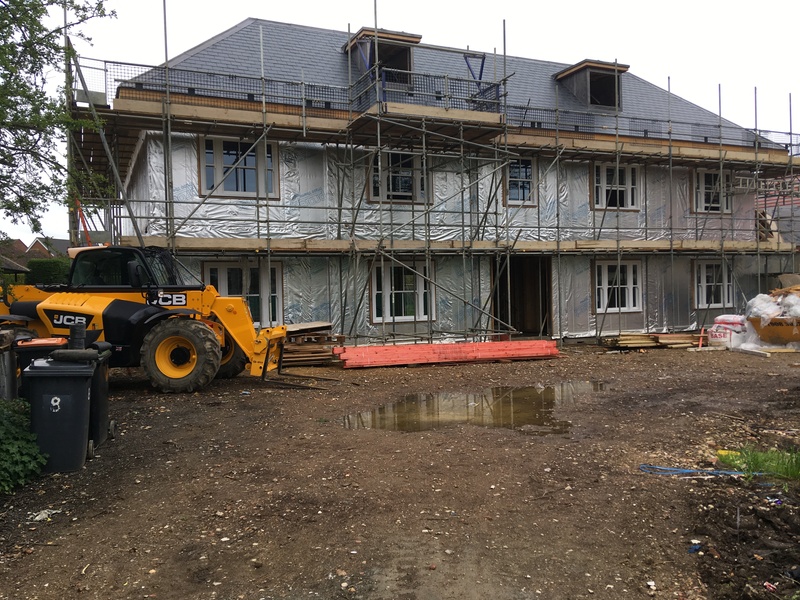 by post to: Planning, 4th Floor, Borough Hall, Cauldwell Street, Bedford MK42 9AP. In all cases quoting the application reference at the beginning and including your name and address. You should say “I object to application 18/00140/MAO”, adding any personal reasons for your objection. When do I submit my objection? As soon as possible. The current closing date notified is 16th February. This may be extended, but to be safe please send in your objection now. You can download the whole plan from www.bedford.gov.uk/localplan2035 . 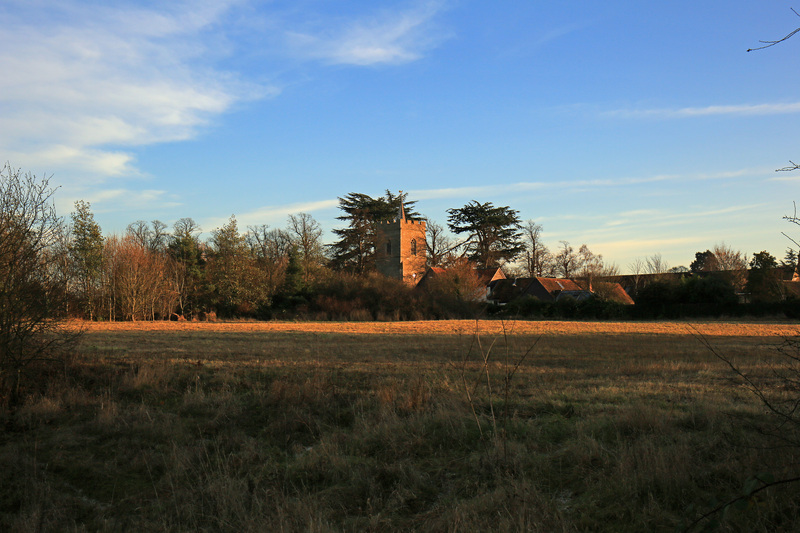 In simple terms Policy 19 will remove the protection given to the site in the current Local Plan, which preserves a strong visual separation between Biddenham and Bromham. Once this is rescinded, it will be much easier for an applicant to develop the entire area and mass house building will be inevitable. e-mailing a WORD version of the response form to planningforthefuture@bedford.gov.uk; or by completing a paper version of the response form and posting it to: Local Plan 2035, Planning Policy Team, Bedford Borough Council, Borough Hall, Bedford, MK42 9AP. Responses made by conventional letter will also be accepted. The on-line form is self-explanatory. For question 5 tick ‘Don’t Know’, for question 6 answer ’No’ and tick the first three boxes, and for question 6a enter ‘Policy 19’ from the dropdown in the second box. In the text box for question 6 enter your reasons for objecting. A suggested response to question 7 could be ‘Remove Policy 19 from the Plan’. 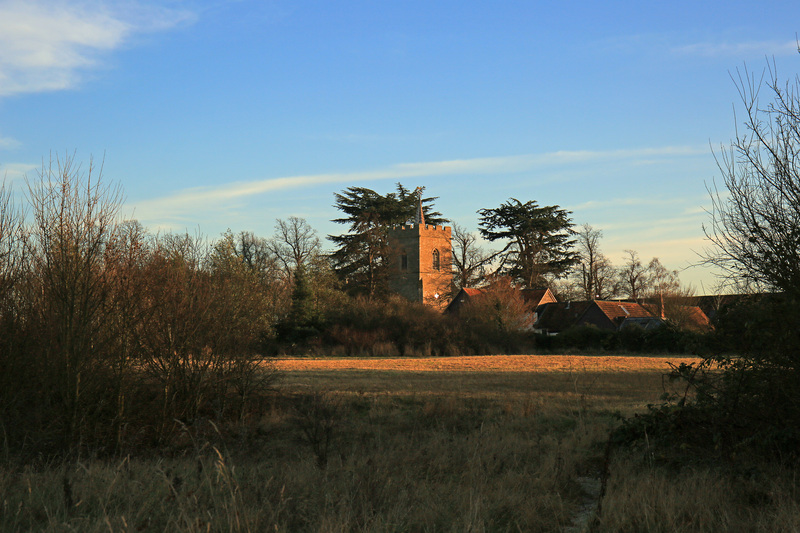 BOTH THE ABOVE REPRESENT MAJOR THREATS TO THE BEAUTY, AND CHARACTER OF BIDDENHAM. 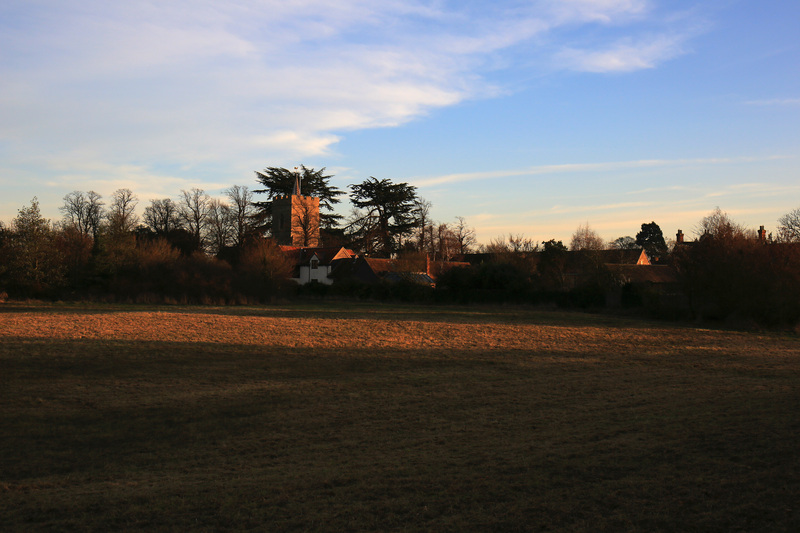 PLEASE HELP US TO PROTECT THE VILLAGE BY SUBMITTING YOUR OBJECTIONS WITHOUT DELAY. Gold Lane is narrow at the point of access to the site and a further 16 vehicles (@ 2/dwelling) would exacerbate the hazards associated with this section of road. The house and property lie within the Biddenham Conservation Area and at the heart of this historic village. The construction of new dwellings on the site would be totally out of keeping with this part of Biddenham and the character of the surrounding buildings. 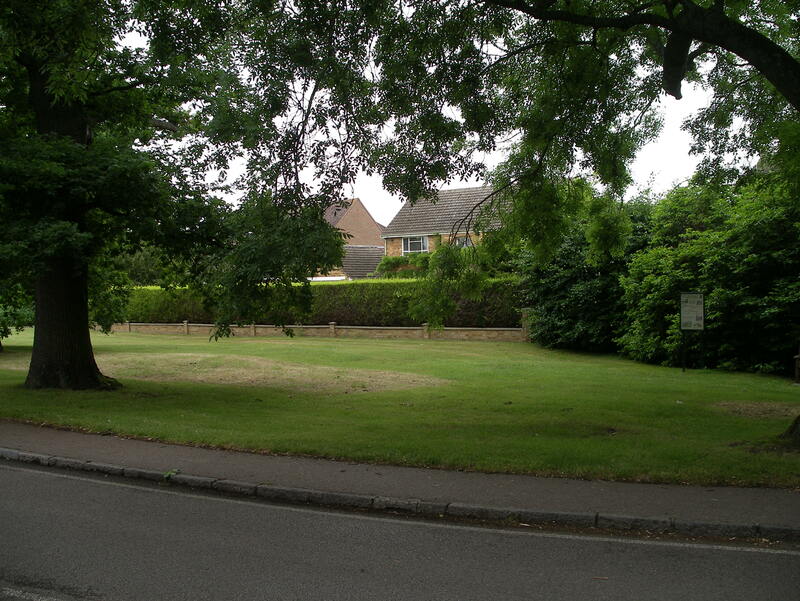 The southern boundary of the property is directly adjacent to the village green and 50m from it. 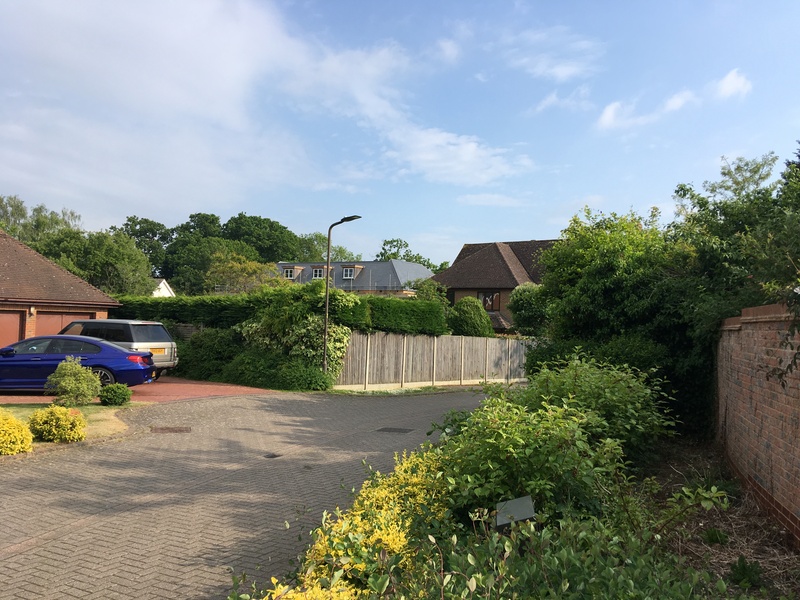 The 2016 Conservation Area Appraisal notes the value of the focal point of the village green, the key views to and from it, the prolific greenery and open spaces, deep grass verges and the extensive private open gardens, all contributing to the special interest of Biddenham. This attractive setting is complemented by the views of Biddenham House across the site. The proposed new buildings on this plot would destroy the historic 360 degree perspective enjoyed from the village green. The main part of Biddenham House was built circa 1766 and is the only surviving example of an C18th double pile, polite, small country house in the village. It is alleged the property was used as a hunting lodge by a Duke of Marlborough. The 2016 Conservation Area Appraisal describes the house as having positive merit, with the setting of the house on the north side of the village green aiding the distinctiveness of this area. Its demolition would represent an unacceptable loss of a part of Biddenham’s heritage. The application is in conflict with the 2002 Local Plan saved policies BE11, BE13, BE15, NE18, and H24 i), ii), iv), and Policy CP21 iv) of the 2008 Core Strategies and Rural Issues Plan, and we urge its rejection. We are getting another estimate for grass cutting. I will also once again get estimates for some fencing for behind the nettles and a wooden gate to the right of the metal gate. There is a meeting in the meadow for all interested at 10am on Friday May 12th. We will be discussing with The Borough how we can manage the meadow as a community group. Once Ray has cut the grass he should be along to bale it and we can discuss where they go with him! Then I hope we can proceed with some ideas at a meeting. 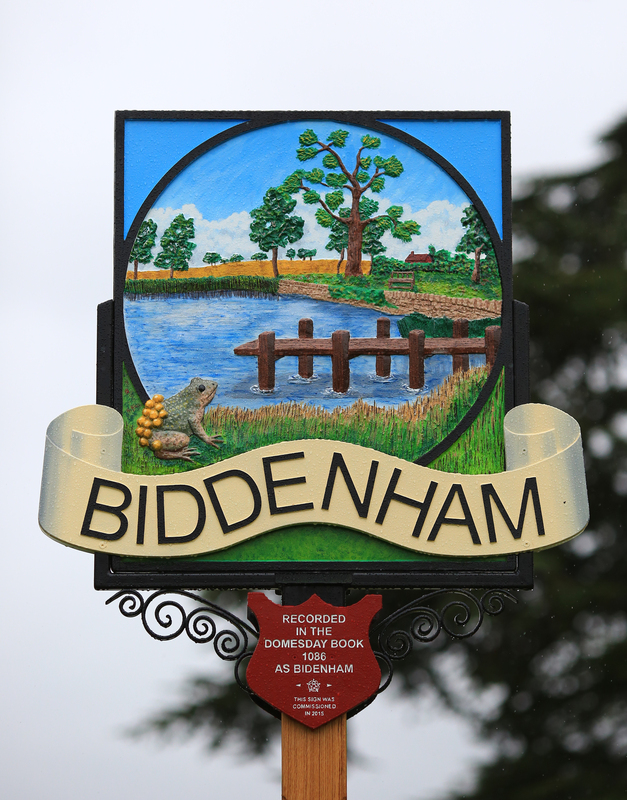 We are on the Biddenham blog and the new web site when it goes live. The PC hopefully are proceeding with buying the mower to use in the meadow. I have the list of plants in the meadow from David G.
You will find me mostly on the pond stand. The next stage is to meet with the borough volunteer officer to discuss how we could apply to set up a friends group. Thanks to those who came to the field meeting. We decided to try to remove ragwort from the Cowslip meadow and will assemble to make a start on this Saturday the 13th at 2pm see how far we get. We have the backing of the Borough in this if we clear some parts at least in the future we can have a look at a cutting regime for parts of the site. Next Friday (5th August) I have a meeting with the Borough in the meadow at 10am please come if you can. Thanks to those who came to help remove ragwort from the churchyard extension. I am trying to arrange a conservation cut. To cut the cowslip meadow will entail removal of the barriers at the entrance as well as another ragwort session. 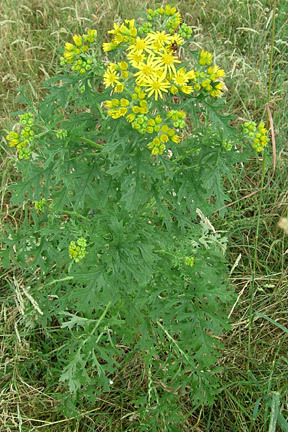 In the meantime we should practice by pulling the ragwort that has got into the churchyard extension. I am away until Monday and busy most of next week but suggest any volunteers meet at the new churchyard on Wed July 27th at 10am – it shouldn’t take long there isn’t much.